Netflix Instant Watch is one of the greatest things to ever exist...ever. This is a series looking at some movies that are available through this fine service right now. On the surface, I realize these two films couldn't seem more different. And truthfully, even beneath the surface, they are. However, I saw them each within a day of each other, had very little to say about each, but wanted to get this week's edition (and I do hope it'll be weekly) of Watch THIS Instantly up regardless. So there. Well...they do have one thing in common - neither are at all interested in converting the unconverted. If you're not already on board with the respective goals of Ivory and De Palma, you haven't a chance in hell with these films. Let's start with Ivory, shall we? A Room with a View is a strangely dispassionate film, perhaps well-suited to the repressed nature of love and sexuality in high-class England at the time, but it also doesn't benefit from its detached nature in the manner of Kubrick's Barry Lyndon. Rather, it's a fairly staid production of the complications of passion and honesty in such a society (the film is divided into chapters, the titles of three of which begin with "Lying to..."). Ivory, to his credit, trusts his audience in dicier areas (the point of the scene at the pond), but to his detriment, doesn't create moments in which the various elements we've been given of a character are allowed to add up to much. Lucy, the protagonist, thus becomes simply what the film presents her to be in the end, and doesn't invest much in the necessary struggles to get there. Further, the film is predictably black-and-white in its depiction of this society. The film is a true actors' showcase, however. 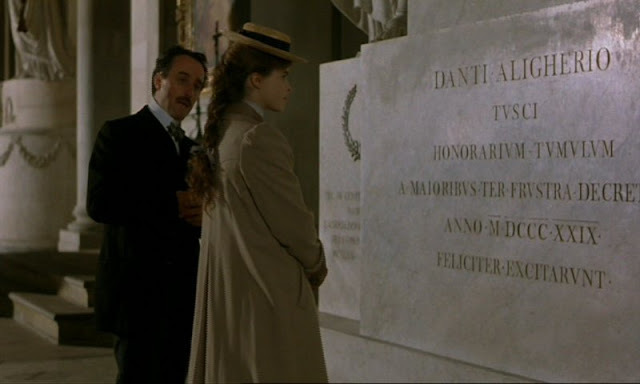 Every performance is pitch-perfect, particularly Helena Bonham Carter (over a decade away from Fight Club, not just chronologically speaking) and Daniel Day-Lewis, who plays what I now feel to be the absolute epitome of the repressed, snobbish Edwardian upperclassman. Day-Lewis has said that he got into acting to play exactly exactly the opposite of these kinds of roles, and though his contempt for his character shows, it comes out in a comic way befitting his role in the film (though when the film could benefit from sympathy coming his way, he is understandably unable to elicit it). Haven't you always asked yourself, "What would happen if Rear Window and Vertigo were mashed together in a film by Brian De Palma?" Well now you can know! It's Body Double! Apparently, De Palma made this as a sort of "screw you" (he would probably use harsher words) to critics who said all he did was rip off Hitchcock. It's strange the things people do to show other people up. Probably what's most amazing, then, is that so many of the scenes of Body Double bring out a lot of the same emotions I've felt while watching Vertigo, which is far and away my favorite Hitchcock film. It's a testament to De Palma's visual and sonic direction that absolutely none of this comes from the monumentally incapable cast. The actors never form cohesive characters who bring past baggage with them, so while De Palma might be able to get us with a character in a moment, none of that emotion carries over the length of the film. Watching this, I really understood why so many people so fiercely defend and celebrate the man's work, but on the whole, it brought nothing to the table that Vertigo didn't bring so much better. 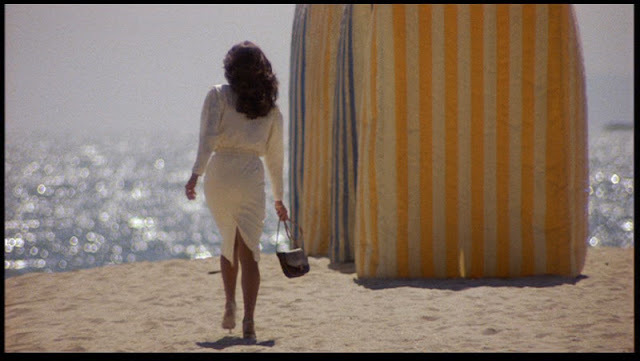 Body Double and A Room with a View are both available right now on Netflix streaming, and in HD no less. For what it's worth, A Room with a View is presented in 1.85:1, although it was shot in 1.66:1, resulting in some cropping on the top and bottom.